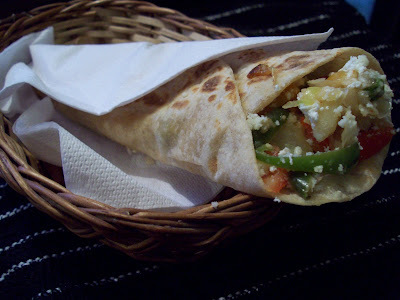 For making the rotis - Take the lukewarm water in a bowl and add salt and oil to it. Mix it well. Now add the flour to it and make into a nice and smooth dough. Add water or flour as required. Keep aside for 15 minutes. After 15 minute roll the dough into small lemon size balls and make them into small chapatis/ rotis/circles. Heat the tava and cook the roti on one side. Don't flip the roti. Pour oil around the roti. Lift up the edge of the roti lightly to check if its cooked well. If u see light brown spots.. your roti is ready... remove from flame. Store in a tissue lined box or plate. Cover it with a plate to keep the rotis soft.Do this with all the balls and keep aside. Vegetables: you can use an assortment of your favorite vegetables such as colorful bell peppers, carrots, , mushrooms, peas, tender young green beans, sweet corn…For the filling: put all the chopped boiled vegetables in one bowl and mix well. Add the salt lemon juice,chat masala & paneer and mix well. Now place a spoonful or 2 of the filling in centre of the roti. 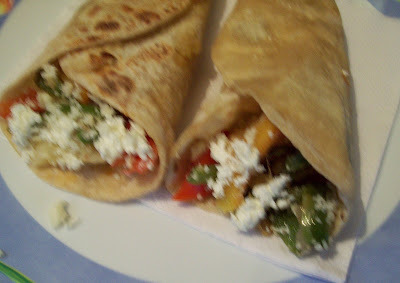 .Put one roll of the potato and paneer mixture in the centre of the chappathi/roti.Then put some capsicum and tomato strips and sprinkle chat masala and spread cheese Top it with some green chilli sauceon top and garnish with fresh coriander Your filling is ready. Now we go to the assembly of the wraps. 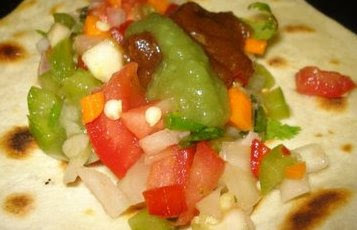 In a large skillet on medium low heat, add ½ tbsp of oil and add the chapati or Roti. Heat the tava... Place the uncooked side of the roti on the tava.. Pour oil around the roti and cook it it sim/low heat.Once lower side is golden and crisp, turn and cool other side. When crisp and golden all over, take off fire. Cut into two with pizza cutter or knife, serve hot with tomato ketchup or chutney Remove from the tava and serve hot with Tomato Ketchup. Note: One may even wrap in foil and carry as a packed lunch in this case do not cut. Wrap each frankie seperately, so it won't get soggy. 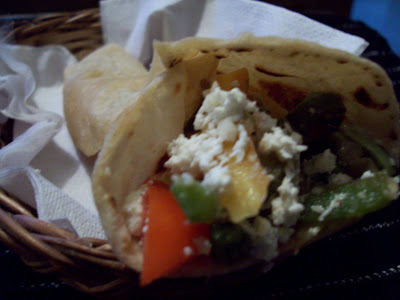 I am sending this recepie to LUNCH BOX SPECIAL EVENT HOSTED BY VANDANA RAJESH. Vidhya has passed me "The Rocking Girl Blogger Award". Thanks a ton dear..
Wow.. Really mouthwatering & yummy.. Excellant .. Great click as well..thxs for sharing..
Its just amazing.. taste is divine..hmm!!! Thank you all for lovely comments. Thank you for the recipe. Am going to try it out soon.